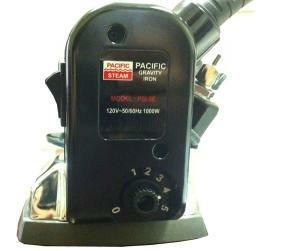 Please order Pacific SH-5S Teflon Shoe at time of purchase of Pacific PSI-5S Gravity Feed Water Bottle Steam Iron. Does not meet Pacific Steam minimum order requirements to ship by itself on a separate order. Recessed Thumb Switch for Steam Release that cannot get knocked loose like earlier models. Heat Shield under handle keeps hands cooler than earlier models without any barrier. 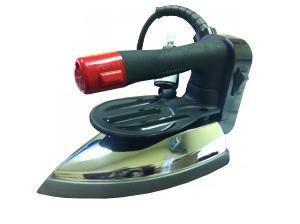 Pacific steam PSI-5E steam electric Iron comes complete with a water bottle, Silicone Hose, spring, and iron rest. Iron Shoe not included. US Warranty 6 Months Parts and 90 Days Labor Service on defects in material and workmanship. The bottom of the water bottle has a round mesh filter (in red color)to keep the demineralizer granules from passing through the water valve, hose, solenoid and iron steam chamber. Which of your gravity feed irons best maintains over 400 degrees F during the day, without losing much heat or steam? So to answer your question, yes our iron will heat up to over 400 degrees F then the heating element will shut off, as soon as you introduce water into the iron it will start to cool down, the heating element will turn back on but the more water the cooler it will get. Good replacement model over our prior models of this iron! I am very please with your company and the service you provided. I look forward to doing more business with you in the future. The product is defective. However your customer service rep. Jackie is awesome. She followed up very promptly and is one of the best customer service I have met so far. My wife is a tailor by trade and refuses to use retail products... Because of your service she is very happy! 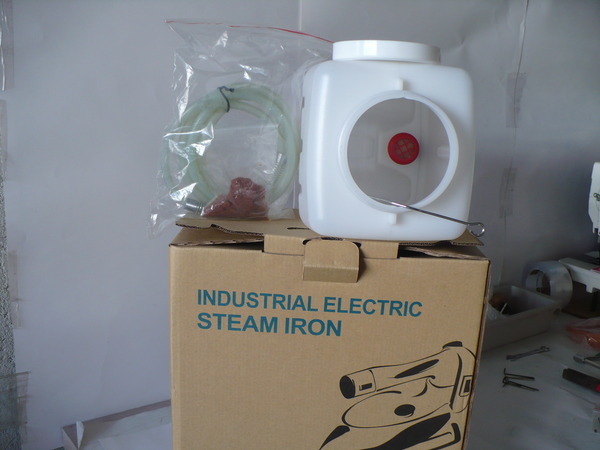 Hi Steam SVP-24 Commercial Maxi Steam Generator Mini Boiler Iron, 110 Volts 15 Amps, 4 Hours Steam, 40PSI Steam Pressure Gauge, ITALY, 15Lb, ETL Appr.